Regal Cinemas was looking for ways to reduce some member reward credit balances through an "earn and burn" campaign that offered members an experience that was unique from their typical rewards while spurring additional engagement from their member base. 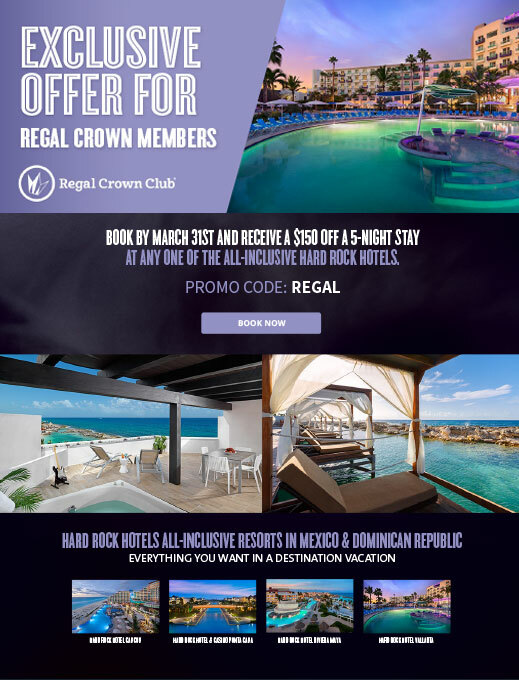 Alliance Connection recognized the large reach Regal Cinemas could provide to a wide range of audiences and partnered with our many resort clients to provide Regal Crown Club Members a chance to win ultimate vacation experiences. 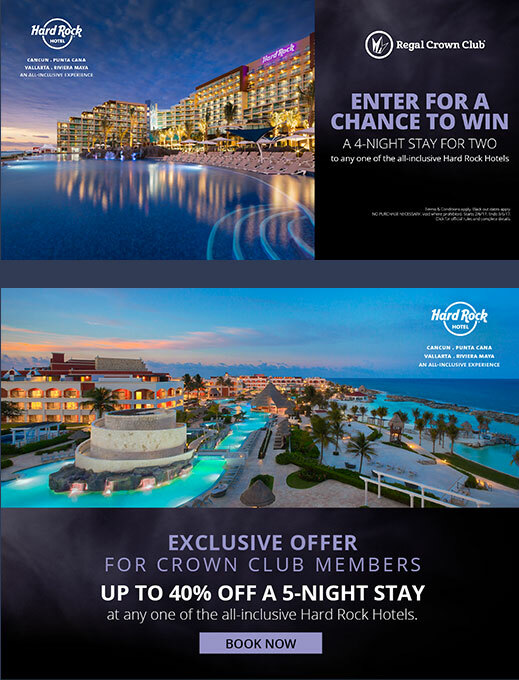 Through an ongoing program 4.3 million rewards members are able to cash in rewards points towards sweepstakes entries and receive exclusive resort offers. 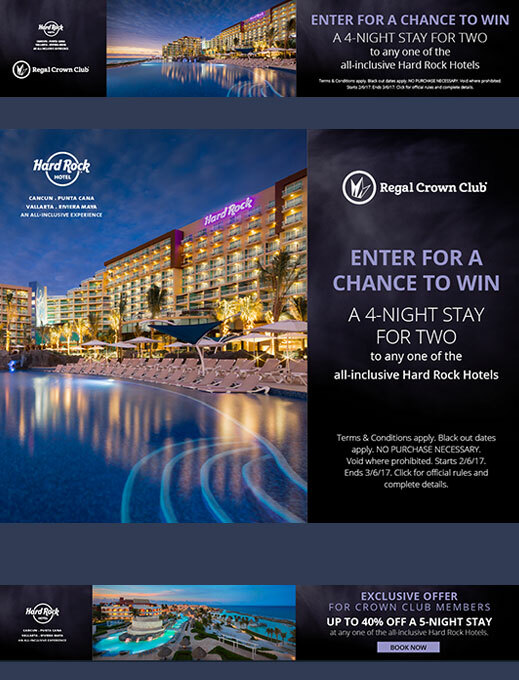 By running specific sweepstakes at the same time as highly aligned movie releases we were able to provide a more targeted campaign for each resort's demographic. Regal Cinemas Crown Club Members had the chance to exchange rewards credits for ultimate vacation giveaways.